Working hours "Mon - Fri: 9:00 am - 7:30 pm Sat: 9:00 am - 6:00 pm Sun: closed"
The mission of Florida Barber Academy is to prepare students to become excellent barbers. We further strive to help our students grow and develop as individuals to become happy and productive members of their families and communities. Our higher purpose is to serve all our stakeholders: students, employees, suppliers, clinic customers and owners for the Greater Glory of God. 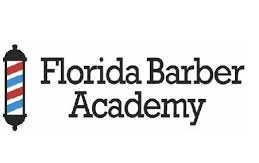 The Florida Barber Academy is a nationally-accredited institution that trains students to be professional barbers. We teach both the technical skills and the business savvy needed to become successful members of the community. We are also a full-service barbershop, offering Professionally-supervised services at low rates. Walk-ins welcome!